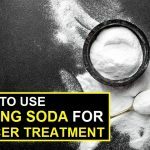 How to Use Baking Soda for Constipation Relief? Constipation is a commonly faced issue worldwide. In fact, according to a survey conducted by global marketing research agency 14% urban population is a victim of chronic constipation. Constipation may be caused due to regular intake of processed food, alcohol, smoking, irregular eating or overeating, less consumption of water, stress, etc. Although not a serious disease, it can cause lot of discomfort. Baking soda has multiple benefits and can be useful in treatment of skin problems, hair problems, teeth problems, body odor, etc. 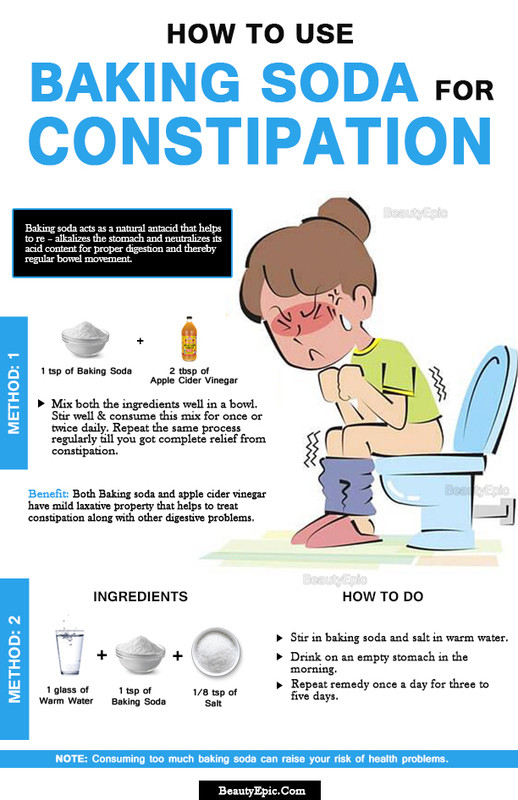 Let us read to know how effective is baking soda for constipation relief. 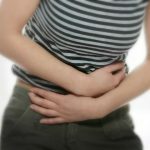 Does Baking Soda Help to Relieve Constipation? Constipation occurs as a result of slow movement of waste in the bowel. As a result stool becomes hard to pass. Low fiber diet, insufficient water intake, lack of physical activity, controlling the urge to use bathroom, change in routine. Other reasons include pregnancy, thyroid, irritable bowel syndrome, diabetes, colon cancer, medicines, etc. Baking soda is another name for sodium bicarbonate. It is easily found in every kitchen shelf. Baking soda possesses antibacterial, anti fungal, antiseptic and anti-inflammatory properties. 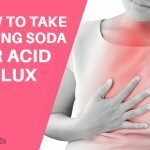 Baking soda helps in relieving bloating, stomach gas, and pain in the digestive tract. It helps to re – alkalize the stomach. It helps to cleanse the colon. Baking soda is an easily available substance in any household. It is a natural remedy and unlike other counter top drugs it doesn’t have side effects. This is to be followed in the morning. Both warm water and baking soda ensures that the problem of constipation is reduced. Mix a teaspoon baking soda to 1/4th cup warm water. Stir and add a pinch of salt. Drink this on empty stomach to break down the food and smooth passage of stool. Drink sufficient water along with this remedy. It may taste a bit strange given the vinegar but its consumption reduces constipation. Mix 1 teaspoon baking soda with 2 tablespoon apple cider vinegar. This mixture should be consumed 1-2 times a day. Alternatively, mix ½ teaspoon baking soda and 2 tablespoon apple cider vinegar with a glass of water. Repetitions: Follow this remedy once in a for few days. Mix one teaspoon baking soda and half a lemon juice. Repetitions: Consume this mixture daily once in a day till you get relief from constipation problem. Baking soda bath is a passive way of reducing constipation. It soothes the pain caused by constipation. Fill a tub with warm water and add 3 tablespoon baking soda in it. Soak for 15-20 minutes and dry off. Though baking soda is beneficial for health and reduces the pain and discomfort of constipation. However, it has some of the following side effects. 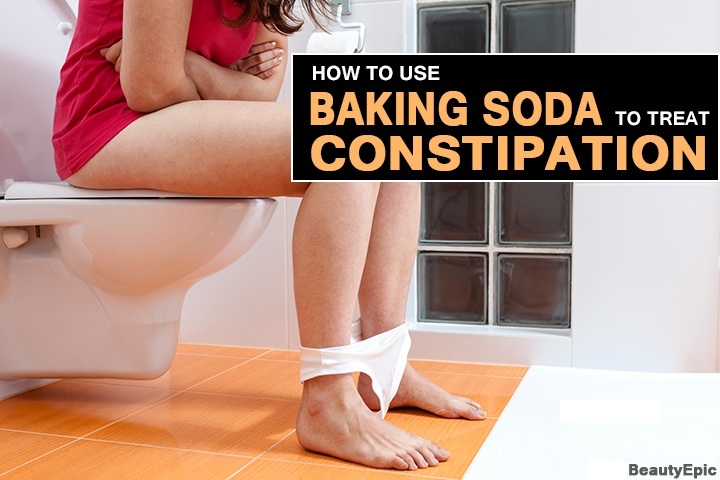 Excess intake of baking soda can result in constipation. High sodium content in baking soda can be harmful for people with high blood pressure, kidney or heart disease. Certain other side effects of baking soda are vomiting, diarrhea, convulsions, irritability, abdominal pain etc. It is advisable to avoid calcium rich food or calcium supplements while in taking baking soda. Result may vary hence it is advisable to see the doctor in case the problem persists. How to Use Baking Soda for Diaper Rash? 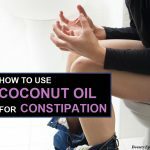 How to Use Coconut Oil for Constipation?